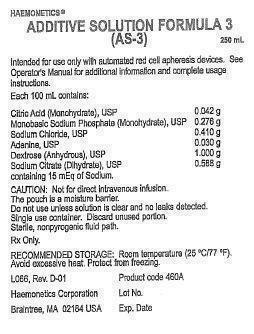 For product intended to be labeled as PF24, the plasma should be refrigerated within 8 hours of collection at 1 â€“ 6°C and frozen within 24 hours of collection. Solutions are NOT INTENDED FOR DIRECT INFUSION. Do not use if particulate matter is present or if the solution is cloudy. Do not use if the container is damaged, leaking or if there is any visible sign of deterioration. 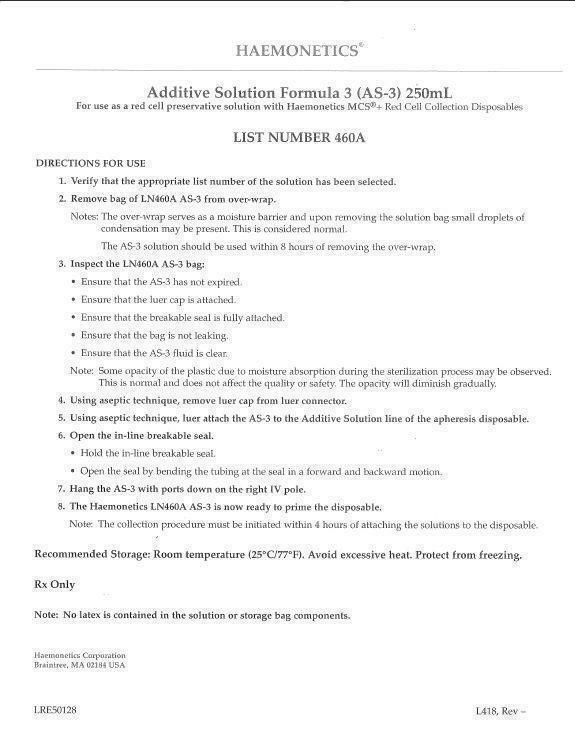 Do not reuse solution. Discard any unused or partially used solutions. Verify that solutions have been appropriately connected to avoid leaks. The set should be loaded and primed for use within 8 hours of the start of the collection. Carry out the apheresis procedure in accordance with the detailed instructions of the manufacturer of the apheresis device.